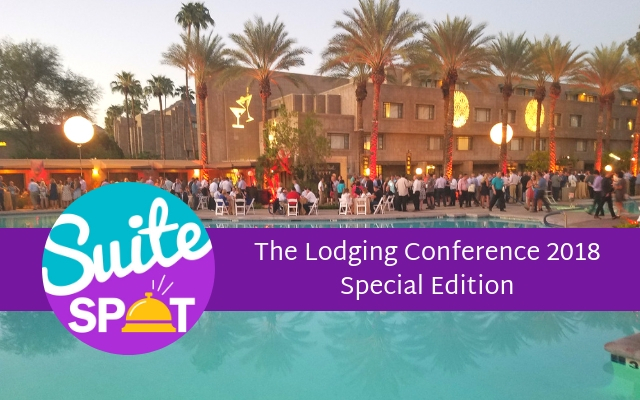 In this special edition episode of Suite Spot, we recap the recent 2018 Lodging Conference. It took place at the beautiful Arizona Biltmore resort in Phoenix, AZ. 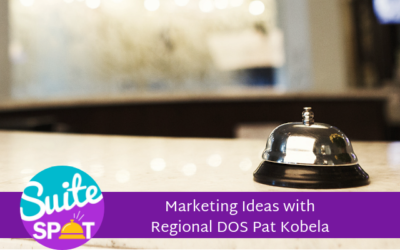 Host Ryan Embree is joined by Travel Media Group’s Senior Director of Product, Jason Lee as they discuss the current state and future of the hotel industry. Listen and learn, as they analyze the opportunities and threats to the current prosperous era for hoteliers. This episode is a great way to get insight into what the power players and brand leaders are saying about the hotel business today. 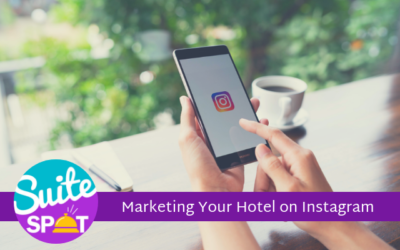 Ryan Embree: Welcome to the Suite Spot where hoteliers check in and we check out what's trending and hotel marketing. I'm your host, Ryan Embree. Ryan Embree: Hello and welcome everyone. You are listening to the Suite Spot. This is Ryan Embree, your host. Thank you for listening today. We've got a very special and exciting episode of Suite Spot where we are going to be reflecting on the most recent 2018 Lodging Conference which happened here at the end of September of 2018. I had the pleasure and was fortunate enough to attend the conference myself as well as our guest that we're going to be having on today and we're going to give you a couple of takeaways and get a good grasp on some of the key points. So today let's go ahead and welcome Jason Lee. He's our senior director of product and technology. I was fortunate enough to travel with Jason to the Lodging Conference. He has been to the conference multiple times, so he's going to have a some different insight on what the differences might have been in the past versus this year. So let's go ahead and welcome Jason in. Jason, welcome back to the show. Jason Lee: Thank you very much. Thanks for having me back. After my last performance, I was hoping that you would invite me back. I didn't know for sure. Ryan Embree: Absolutely. So today, as mentioned, we're gonna be talking about the Lodging Conference and this isn't the first time you've been, you've been a number of years now. I wanted to get your impression of, you know, this year's overall sentiment and how maybe this year's Lodging Conference has been different than years past. Jason Lee: Yeah I think like in terms of different from years past, you know, I remember going to the Lodging Conference right after the recession, you know, the 2010 / 2011 times and, and I think there was a lot of like, hey, you know, or we do see some trends going the right way, but are we ever going to get back to 2007 / 2006 levels of occupancy and revenue? Um, and I think, you know, over the last few years we've seen a lot of optimism and a lot of like, hey, the state of the industry. It looks really great and it's really awesome and I think this year you're seeing the same numbers as the previous probably five years of like, Hey, this is good, good growth. Um, but now it's a little more like, how long is this growth gonna go? Can we keep this going? Um, some people, they're feeling very optimistic and thinking that we're, we're, you know, the, that the, uh, the hotel supply line is correct. We're not overbuilding. The influx of travel seems to be going well. Millennial travelers and baby boomer travel seems to be, you know, on the rise. So you're looking at good segmentation and solid revenue projections. Um, but then at the same time it's like, or there could be some sort of economic collapse or there could be some kind of other thing that could happen that could cause a derailment that everything right now looks very, very positive. Ryan Embree: Right. And we heard "cautious optimism" a lot throughout the conference and you're right, you know, we've been hearing it from brands, we heard it from management groups that, you know, big management groups that were there with large portfolios that this has been record breaking and record setting years for them. I wanted to first go into, you know, why that is right. You know, we've, we've heard of the hundred plus months of rev par growth, which has been awesome. What other things are contributing to the success right now in the hotel industry? Jason Lee: I think very low unemployment for record, low unemployment. So you have a lot of people employed and traveling, you know, they've got a little bit of money, there's more discretionary money. Um, so you're seeing more travel. I think technology does play a part of, I think the ease of travel has gotten a lot better. So I think overall the path to travel is fairly clear and smooth for consumers and consumers want to travel and are looking to travel. And I think maybe for the first time in awhile we've seen good economic growth from a hotel perspective. But I don't know if we've ever seen unemployment levels at the levels that they're at now. So there's good and bad in that. I think there's really, there's great in, in travel and maybe scary in employing and staffing your hotel. Ryan Embree: That's a really interesting point. Yes. You've got all these people employed now they have extra money to go out and spend. But on the other side of that, you know that that low unemployment also is a threat to this process, this era of prosperity. Can you kind of speak to that and transitioned to where that cautious optimism that they're talking about where that could come into play with things like unemployment rising wages? Jason Lee: Yeah. I think especially in large destination markets called New York, San Francisco, Chicago, San Diego, Los Angeles, Orlando, you're seeing occupancies ADRs at an all time high. You're seeing new supply coming into the market. Um, and then you're, like you're saying you're also seeing low unemployment. So finding housekeepers, finding front desk staff, even even finding back of the house staff maintenance and housemen other other types of staff that typically run hotels has been hard. I think there are hotels that struggle there are struggling to get staff, retain staff. So I feel like at the Lodging Conference there was a lot of talk about ways to retain and there were. That was definitely a theme they even talked about. There was a lot of talk about self check in kiosks and things like that that are starting to come out. Even somebody talking about some robotics where this thing came in and cleaned the bathroom in the lobby in between sessions in a conference room people are looking at like our hotels are looking at you know, how, how can we adjust to this? Jason Lee: But then at that the core of hospitality is people, you know, is service. So how do you adjust for that? And I think I think hotels are going to have to really get creative in how they employ. We even heard somebody talking about giving desk clerks the ability to do shift swaps and things like that. Being able to like through an APP like swap shifts so that people feel like a, so a desk clerk feels a lot of flexibility. Maybe somebody's going to school, but I think even with all of that, the numbers are staggering. Especially in places like San Francisco where you've got a minimum wage rising again. So I think it's at $15 now, it's going to go up to $17. You've got New York where you've got minimum wage rising, so a lot of you know, so if you're looking at minimum wage and maybe that is at the housekeeping level and then you've got front desk staff that are going to be a level above that. You know, you might be looking in the, you know, $20 - $25 an hour for desk staff in large metro areas and that takes a toll on your revenue. Ryan Embree: That's pretty incredible. That's a substantial amount of costs coming up. And even though you're seeing all these great numbers when it comes to RevPAR, ADR and occupancy going up, you know, that margin shrinks when you have to pay very, very competitive wages to a staff to either retain them, or you know, just hire enough of them to give the type of service that your consumers and customers are expecting. Another thing that the conference brought up was the rise of construction costs and that's actually brought about a unique effect with that rise of construction cost is now brands are looking at things like conversion brands to go ahead and come in and say, "all right, instead of building brand new, which might right now at this state costs me more to do coming into some, uh, maybe tired properties and convert them into a whole new, unique brand." What do you think about that strategy? Jason Lee: I think it's great. You know, on the construction side, I think you've got a couple of factors. You have tariffs that are, that are causing a little bit of issues with steel and some other stuff, other types of building materials. But I think you also have the fact that there's a lot of building going on and general contractors and contractors in general are like, it's hard, it's hard to get people. And so when you do get them, they're raising their rates, they're raising their prices because the times are good. These conversion brands make a lot of sense. Especially when you look at what Best Western is doing. I think Red Lion has a, has a brand called Signature that is like looking to convert older 19 sixties kind of L-shaped exterior corridor. Hotels like Route 66 type hotels into more boutique properties and making them kind of cool again. And I think there's a real interesting. There's, there's a, there's definitely an appetite for that, but I think there's a, there's a great strategy for, for people investing in hotels in that, in that you can get into something maybe at a low cost per key [and] do an upgrade. You're still going to be way under construction costs and land costs and you might even have built an occupancy at that location. You know, now you've got a great new product that is, you know, doing a much higher ADR, much better RevPAR. Ryan Embree: Yeah. And it also helps with something that we heard a lot from these brand and management groups, which is shelf space, right? So, you know, these conversion properties might be at a completely different level of service than what a flag brand or your, um, your main brand is bringing to the table to help you kind of widen that net when it comes to consumers to make sure that you're, uh, getting your fair share of market. You know, another thing that we heard a lot about was, was soft branding. Brands are now turning to that and hoteliers are now more open to that than ever. What do you think about soft branding and, and when it comes to maybe opening up a, when a hotelier's deciding whether they want to go with a soft brand or maybe going with a more traditional brand? Jason Lee: I mean, I think if you're, especially in a multiunit scenario, I'm in your hotel here that works with Marriott for example, and you're in a metro area, you got a Courtyard you've got at Residence, you maybe have a full service Marriott adding an Autograph Collection Marriott piece to that that's more boutique is his genius, so you as a multiunit guy can now capitalize on unified reporting between all of those properties. Jason Lee: You can capitalize on all that stuff, but then you also have the freedom to really do what you want with that hotel, market it how you want, give rates how you want, but you also have the backbone in technology of a major brand. So I think Choice with their Ascend Collection. I'm a Marriott Autograph Collection. I know the other ones have some have their own pieces of that are fantastic. I think it's a smart move, but again, you also have to think about the fact that you're kind of in the same spot from a consumer perspective. They may not know and I know Ascend and Autograph definitely push out their brand names, but in some cases they don't wear the consumer themselves. You might be starting from ground zero trying to build a brand inside of a metro market rather than them coming in and knowing, "Oh yeah, this is a Courtyard. It has this and this and this. I know I'm going to get this, this level of service." So you know, so you might have a small up uphill battle on, on the, on your opening. But once you get going, I think it's a, it's a win win. Ryan Embree: Yeah. And I, I completely agree with you because, you know, if you are a hotel, you're in your, you, you've got these two options here, you gotta make sure if you are going to go with that Autograph, you've got that flexibility of doing whatever you want, but you have to have a clear cut strategy at the end to make sure that you're going to be successful. Another point I wanted to bring up, uh, that the conference took a look at and I just want to get your opinion on it was in this time of prosperity, the one thing that's really kind of been lagging is hotel transactions as far as hotels being sold. I wanted to get your opinion on why you think that is. Why aren't they spine and selling like they used to? Jason Lee: You know, I think there were some real compelling one of the sessions we attended a CRBE did a, did a thorough analysis of um, the, you know, the basic timeline and, and cycle of construction build by, you know, acquire, you know, sell that kind of thing. And, and what they showed was that, you know, we're, we're definitely the valley of acquisition, which is an interesting place to be. And part of that has to do with hoteliers making great money at their hotels. I'm also hoteliers not knowing where the cap might be. So you, so with hotel sales you've got real estate value and you've got a business value. So if you've got rising, if you're rising RevPAR you're a year, you might not want to sell until you see that coming close to a cap. Jason Lee: So I think there is a, there, there are people that are enjoying the economy, enjoying what's happening right now. And so they're also pricing their hotels really high. So the hotels that are for sale in the market, you're seeing cost-per-key is like really high. So in that slide that we saw, they're showing average cost per key and America 240,000, you know, and so when you're looking at, you're looking at a $240,000 cost per key on the rule of thumb side, you're looking at 60 percent occupancy at a $240 ADR to be profitable on that debt service. So you're, you know, it's a major investment. Buying a hotel and being profitable the next day in what's happening right now with hotel prices is tough. So I think that's contributing. I think that's, I know it's kind of a long answer to that, but I feel like all of those, those factors are contributing to why hoteliers are hanging onto their hotels, but why hoteliers who have hotels for sale or selling them at a very high price. Ryan Embree: Right, and that makes total sense. Especially if you're, if you're looking to buy cost per key is so high, you want to make sure that you're going to have some longterm sustainability in some longterm revenue gains here to make sure you get an ROI. And at this time, again, you know, we go to a Lodging Conference which does a great job of really maybe trying to give us an idea of what that future looks like. Even though we can't predict exactly what that cautious optimism there, you've got to say maybe those buyers aren't, aren't as willing to pull the trigger anymore. So it makes complete sense. And lastly, what I wanted to kind of end this with is obviously our expertise and our specialty and that comes to technology within the hotel industry. Sometimes it's a little bit difficult for the hospitality industry to implement these techniques, these new technologies, they want to be at the forefront of them, but the implementation of technology is very difficult, especially if you're looking at through brands, you know, even looking at an example that they brought up at the conference of the iPod deck and installing all of those at hotels and now all of a sudden the iPod itself or your iPhone has completely changed and you can't really use those anymore and that has become outdated technology which used to be again at the forefront. Ryan Embree: So being on both sides of the hotel industry. You were in the operation side for so long and now you're on a kind of the marketing side of it. I wanted to get your perspective on, you know, where we are with technology or are we going to see this implemented quicker now that the technology is getting simpler and easier? Um, or do you think we're still going to be as we've done in the past? Jason Lee: Yeah. You know, I think the, you've got like a couple of sets of technology got in-room technology and gadgets and things like that, like with Marriott and Alexa, which is exciting on one hand, but on the other hand it can be daunting and it really expensive for a hotel. There was in one of the sessions they were talking about that, that it's a full expenditure. They can't even do a capital expenditure for that technology because there's no, there's no value to it. It's not like buying mattresses or an air conditioner or something. It's a straight out of pocket expense for, for Marriott franchisee. And will it drive occupancy? Will it, you know, retain guests will be like, "Oh it was so cool. My experience with Alexa and that room was so great. I want to come back." Jason Lee: And that's the question. You know, and I think you look at things like casting for internet or streaming services like Netflix, it's wonky still, you know, the is wonky between devices. The streaming or the casting stuff is wonky with the video of an iPhone or an android or what version of that you have, but I think even further than that, Wifi is not fully worked out in some cases, you know, so you've got a lot of, you've got a lot of challenges as a hotel where you're like, "hey, I want to add these devices. I think it'll add value." But you have, you know, that it brings a whole new level of connectivity. It brings a whole new level of bandwidth that you need to have at your hotel. So I think, I mean, it's tough. Uh, um, you know, I think hoteliers should really look first at making sure you've got really clean, well maintained guest rooms and a great guest service platform and you're doing everything you can to, to drive business and, and perfect your product that way. Jason Lee: And then if you hear your guests are like, "Hey, I really, really miss having Netflix, I'd like to have Netflix or I would like to do this," then start to like maybe dip your toe into some of the streaming services. Some of a lot of times they're doing some bunch of integrations. I know Directtv and AppleTV did a big push for an enterprise solution at a hotel where they had direct TV and so, so the hotelier was no longer having to pay for cable, so they weren't, they didn't have that part of it. They up their bandwidth and used apple TV and Directv to, to supply all this in the guest rooms and it turned out to be fairly good, but again then you got little little apple TV remotes running around what kinds of stuff? So that's. I think that's the charge for any hotelier is to. I think you've got to find a way to have a really great product for what it is and that is a guest room. That is that, that's, that's right and done right. And then you add technology onto that, but things like Wifi for example, that's, that's expected. It's expected not only to work, but to work properly. Ryan Embree: Right. It's a basic amenity now that every hotel needs to have. And you know, just to piggyback on what you were saying, I think there's also a level of trust between some technologies. I found it very interesting and one of the sessions that we went to about them talking about face recognition used at the front desk and how a lot of the people that were there and had been in the hotel industry, I mean these are, you know, industry leaders, how they personally felt a level of discomfort there knowing that they could be walking into a hotel and their face be recognized by some technology without their permission sorta thing. So you get, you get into kind of the slippery slope there. Jason Lee: One last thing I was gonna say on that too as I is, there was a lot of talk about personalization, personalization of, of guest experience. The major brands have launched all these brands, lifestyle brands and brands like targeted towards. And I'm doing quotes science right now, "millennials." 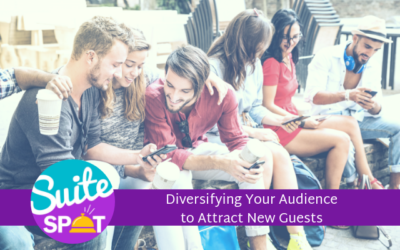 So you have all of these different segments of, of hotels that are coming out and they're all saying, "well this is a niche for this type of guest or this type of traveler." And then they're saying even further than that can, "is there a way to consolidate information from maybe the OTAs and from pms systems to start to like really get down to like what do guess, what does this guest want? Does this guest want this type of lotion or is this guest want this to have a pillow or this guest want this type of streaming experience?" Jason Lee: And I think it gets crazy, you know? And I think there's a lot of talk about that and you and you're right, I think there, that's also where you get into people's personal privacy and other kinds of things that get dicey in terms of like what is a guest giving you permission to mine and you know, how you know custom can you make an experience. But also maybe at the end of the day, maybe the question really should be is how personalized does a guest want it to be before it turns to creepy. Ryan Embree: Right. Right. Absolutely. And, and you know, as much as you personalize it and maybe have a, a guest pinned down on what you think they want, you know, they could be going through different stages in their life where maybe they're in a couple of years, they start a family, they're not looking maybe for the same hotel that they look for years prior to. So I think they're still sorting some things out there, but it's exciting to know that, you know, hoteliers are, are trying to make those unique experiences. They're trying to personalize their understanding that there's a one out there for personalization. But again, it's finding that balance that I think you did a really got a good job of explaining. So. Jason Lee: And one last thing on the technology. I know I'm, like I said one last thing before. So I guess this is the second last thing. Um, and that, is that the other part of technology, I think so. One is the in room get technology. The other part of technology really does I feel get down to can you use and leverage technology to help with other types of problems that you're having at the hotel. One of the biggest problems that we were just talking about has to do with employment and people's time being at a premium number of people on your property being at a premium. So there are lots of things. It's the shameless Travel Media Group plug, but there are lots of things we offer. We offer many things that will help with aid in like, "can I take this off someone else's plate? Can I take social media off somebody's plate or can I take review response off somebody's plate? Can I?" But then it could be other kinds of things. "Can I take revenue management off their plate?" And use accompany other other companies out there that do revenue management strategies? Jason Lee: So there's lots of technology that can help you economize time at a property and, and, and I think when you're talking about maybe the biggest threats that are happening right now, I feel like if you look at everything that was talked about, the biggest threat that was mentioned again and again and again was employment and, and was the way, especially in metro areas where it's tough to find people. Ryan Embree: We had a leader in the industry say in one of their sessions that they're now outsourcing laundry. And it's gotten so bad at the facility that they just don't have the manpower to do that. And something that they said maybe decades ago was unheard of. I mean the cost of doing that is out of this world. It now makes sense for them to do that. The industry is, is at that point now where they need to go for some supplemental help. 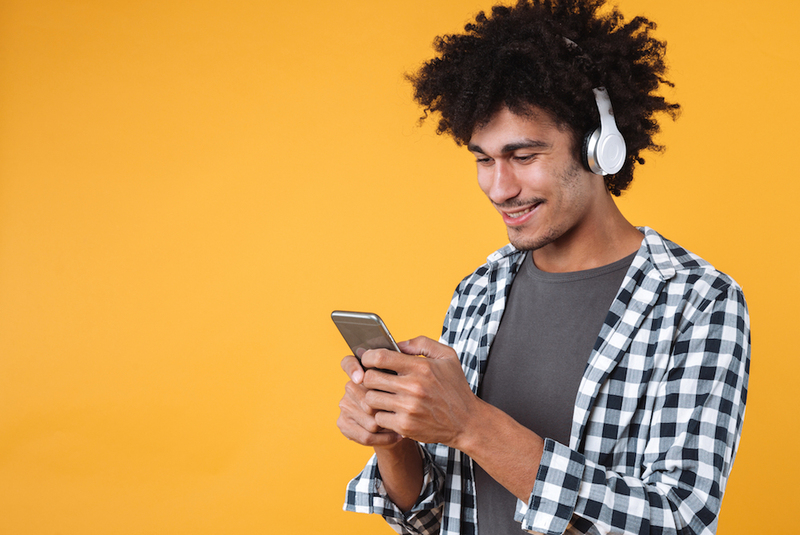 Ryan Embree: Um, so yeah, like you said, whether we're talking about laundry or whether we're talking about other things that are taking the owner time, like responding to reviews or social media engagement. It's now at that point where hoteliers are looking for help because it's having an impact on business. Ryan Embree: Awesome. Well, very interesting stuff, Jason, as always on to go ahead and thank you for joining me. You're welcome back anytime, but thank you again for your time. Ryan Embree: All right, and thank you all for listening. If you have any feedback or if you attended the Lodging Conference and have some questions or any sort of opinions about the conference, we'd love to hear it. You can contact us at 407-984-7455 or email us@infoattravelmediagroup.com. Thank you all for listening. Have a great day! To join our loyalty program. Be sure to subscribe and give us a five star rating on iTunes. Suite Spot is produced by Travel Media Group, our editor is Anne Sandoval with cover art by Bary Gordon and content support by Amber Wojcek. I'm your host, Ryan Embree, and we hope you enjoyed your stay.